NRDC-ITA NATO - 22nd March - Maj. Gen. RICCÒ at the "Dacian Lancer 2018"
NEWS > ARCHIVE > Archive 2018 > 22nd March - Maj. Gen. RICCÒ at the "Dacian Lancer 2018"
Bucharest (Romania), 22nd March 2018. Maj. Gen. Maurizio RICCÒ, NRDC-ITA Chief of Staff, attended the distinguished visitors’ day of “Dacian Lancer 2018”, an exercise organized, planned and conducted by the Headquarters Multinational Division South East (HQ MND-SE) in the training area of Cincu (Romania). Aim of the exercise was to provide a suitable venue for the conduct of the field evaluation phase of this recently constituted HQ and demonstrate both the functionality of MND-SE consistent with its assigned mission and the efficacy of agreed upon capabilities. 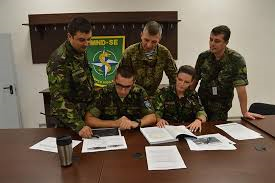 NRDC-ITA contributed to the “Dacian Lancer 2018” with three officers who have acted as subject matter experts evaluating the operational functions Operations and Logistic Support. 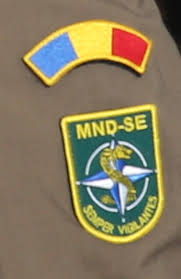 After the evaluation, MND-SE reached the certification of capability to plan and execute divisional-level operations within a NATO “Article 5” Operation based upon NATO advanced planning. The newly certified MND also confirmed the ability to deploy, sustain itself and to cooperate, coordinate and liaise with non-military authorities (Host Nation Local Authorities, international and non-governmental authorities). All NRDC-ITA staff congratulates for the outstanding results achieved.